This spicy chili popcorn was a cool discovery. We were having a get-together at the house. A friend arrived with a large bag that contained an air popper, avocado oil, chile flakes, and salt. We asked her why she bothered to bring all of that stuff. She told us that she was going to make us a great snack. We thought it would have been easier to just bring a bag of chips. Popcorn is called palomitas, “little doves” in Mexico. It may have been easier to bring some chips to the party but this spiced popcorn was far superior. It goes really well with a crisp, cold beer and some good conversation. As a plus, the avocado oil is healthy although you really should eat it because it’s a great snack. A recipe really isn’t required. Here’s what you do to make spicy chili popcorn. Make a big bowl of air-popped popcorn. Drizzle the popcorn with a good quality avocado oil. Sprinkle it with chili flakes or chile powder and salt to taste. Don’t drown it with oil. You want just enough to add flavor and allow the chili and salt to stick but not so much that the popcorn becomes soggy. 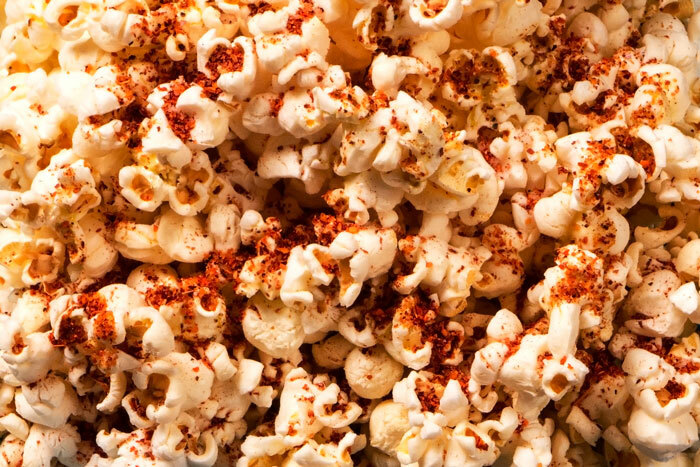 Popcorn Spiced with Piquín Chile, Avocado Oil, and Sea Salt. The secret to this snack is the avocado oil which has a distinct herbal flavor that pairs well with the chili. Be sure to get a higher quality oil. Lower quality oils tend to taste flat or stale. 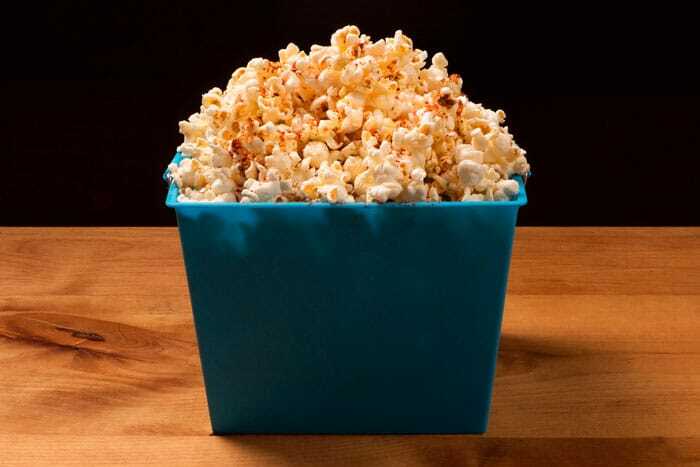 Chili lime popcorn – Instead of adding chile flakes, sprinkle the oil drizzled popcorn with lime juice and salt. A light flavored olive oil works well too. Try flavored salts instead of the chile flakes. Try flakes or powders made from different chilis. The flavor changes significantly. If you live in Texas and have an HEB nearby, get a bottle of Julio’s Seasoning. Pop a bag of popcorn in the microwave, open bag, season with Julio’s, close bag, shake like heck for about 15 seconds. We’ll have to try that next time we are in Texas! Sounds good!